Cherry blossoms or Sakura and local train. Japan, the land of the rising Sun becomes even more mesmerizing during the spring, with its lush cherry blossoms in full bloom across the city streets, mountain ranges and riversides. If you’re planning a week’s vacation to experience spring in Japan, we’ve got just the perfect itinerary planned out to make your experience magical. Tokyo is bustling with a host of native festivals, fresh seasonal delicacies and bright spurts of pink blossom across the city streets and parks during this time. We recommend you head straight to Ueno Park, one of Japan’s biggest central parks to catch the famous Sakura (Cherry Blossoms) in all its glory. Locals and tourists spend a day enjoying the local sake amidst carpets of blossoms, having a picnic or just relaxing. If you’re lucky, you may even get invited to join one of these Hanami parties. While there are many popular cherry blossom viewing spots in Tokyo, try and catch the unconventional ones for a truly magical experience. Viewing the (Night Sakura) from the Meguro River lined with over 800 cherry blossom trees, or walking through lush blooms of cherry blossom at the Koishikawa Korakuen, one of Japan’s oldest gardens built in the Edo Period complete with Japanese style bridges and rock gardens, is a lifetime experience. 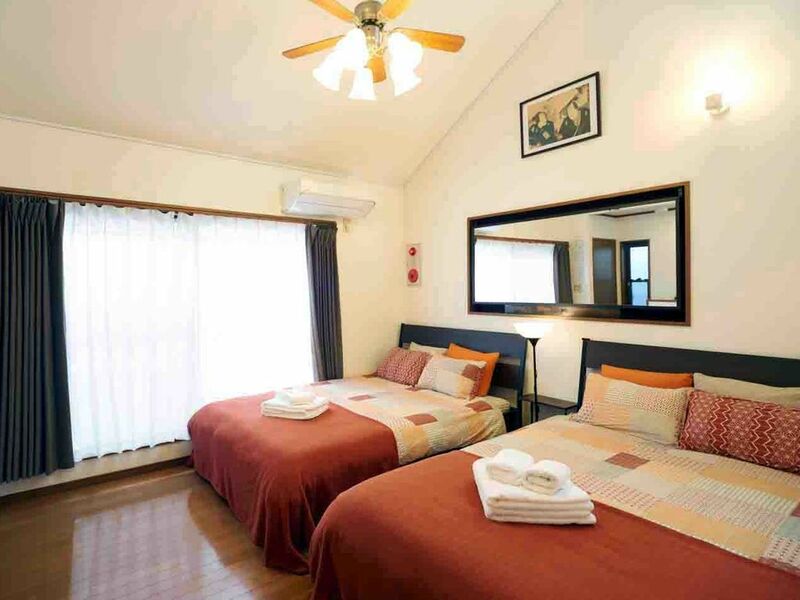 Also, we’ve kept day 2 for more popular tourist activities like soaking in the view of the blush-covered Sumida Park during a pleasant 35 minute boat ride, posing at the Meiji Jingu Shrine– a historical monument and popular Instagram spot, and catching the panoramic view of Tokyo’s night sky from the famous Tokyo Tower. 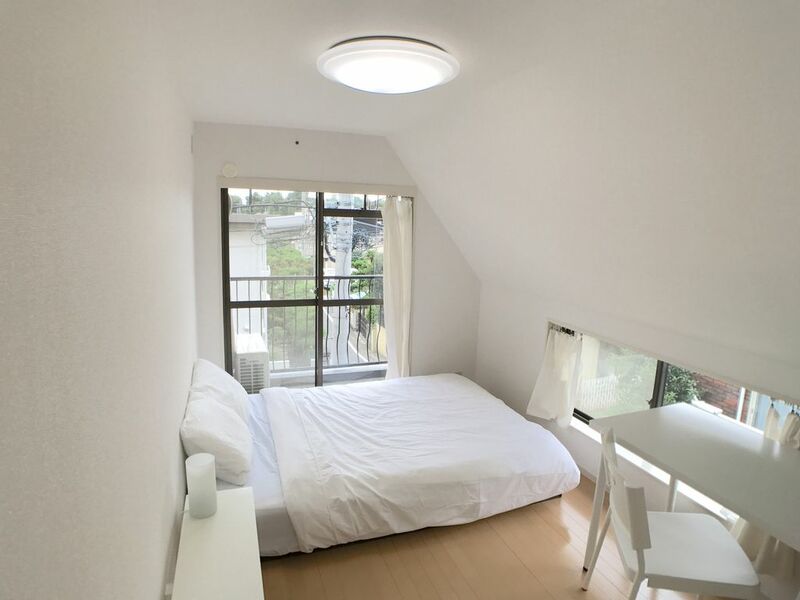 Beautiful designer home with two balconies conveniently located in Meguro. Super comfortable beds and insider tips to make the hectic cherry blossom season really comfortable. This Japanese style home in Tokyo’s Saitama prefecture offers security and tranquility outside the bustle of Tokyo. The Urawa station is a 10-minute walk away and is perfectly connected to the center of Tokyo and the various airports. You will enjoy relaxing in the small garden sipping a cup of tea away from the teeming crowds. Particularly suitable for families and small groups. The traditional town of Kyoto is about 2 and a half hours away from Tokyo city if you catch the local Shinkansen. With its many ancient temples and shrines, Kyoto has a very spiritual vibe to it, further enhanced by the pastel cherry blossoms. We suggest starting Day 3 early to avoid the crowds. Walk your way from Yasaka Shrine to Chionin Temple and Shorenin Temple and take a break at the Mayurama Park, where you’ll find local vendors sitting under the famous weeping cherry tree or shidarezakura. You can spend the rest of the day trying out authentic Japanese street foods at the Nishiki Market. From freshly sliced sashimi, to piping hot tampura and mocha, this street is a foodie’s delight. For Day 4, we’ve lined up a host of fun, adventurous activities amidst the picturesque landscape of Kyoto. You could walk across the Togetsukyo Bridge, a 1000 year old bridge that’s set on the Katsura River and looks into the beautiful rustic town of Arashiyama with its Sakura blooms in the mountains. You could also visit the Nijo Castle, a UNESCO Heritage site or hike to Iwatayama Monkey Park during your time here. Don’t forget to intersperse your day with the lip-smacking, local delicacies in this region. 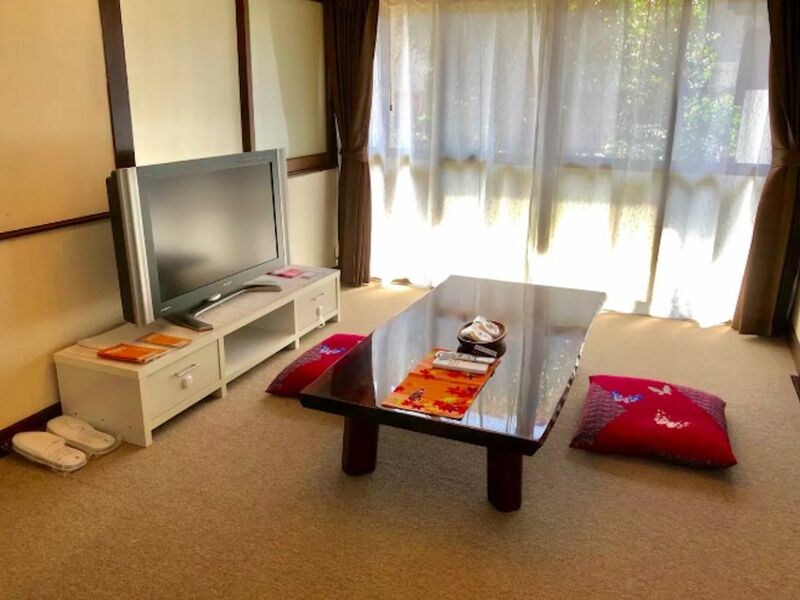 A charming family friendly two bedroom townhouse in a central location near the Imperial Palace. 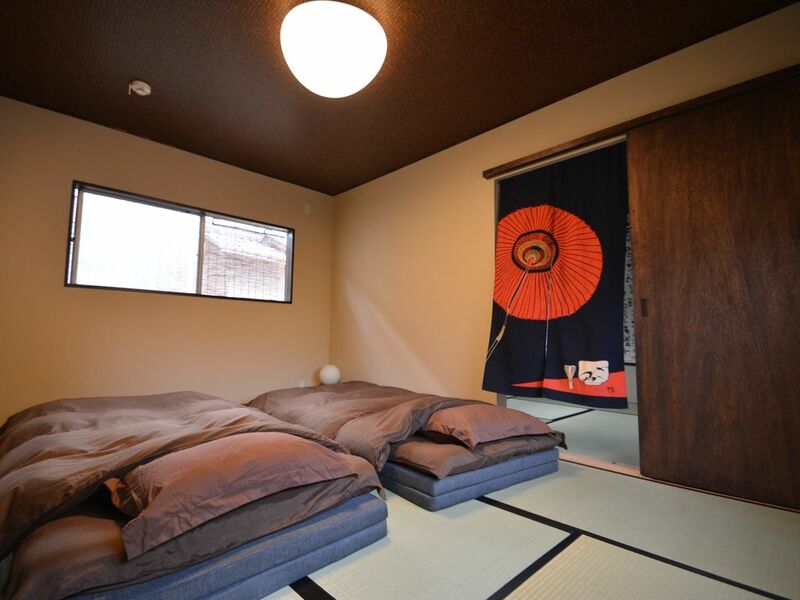 The bedrooms have tatami mats and futons which are surprisingly comfy after a long day of exploring. The fully equipped kitchen and dining area mean making meals in is also a breeze. 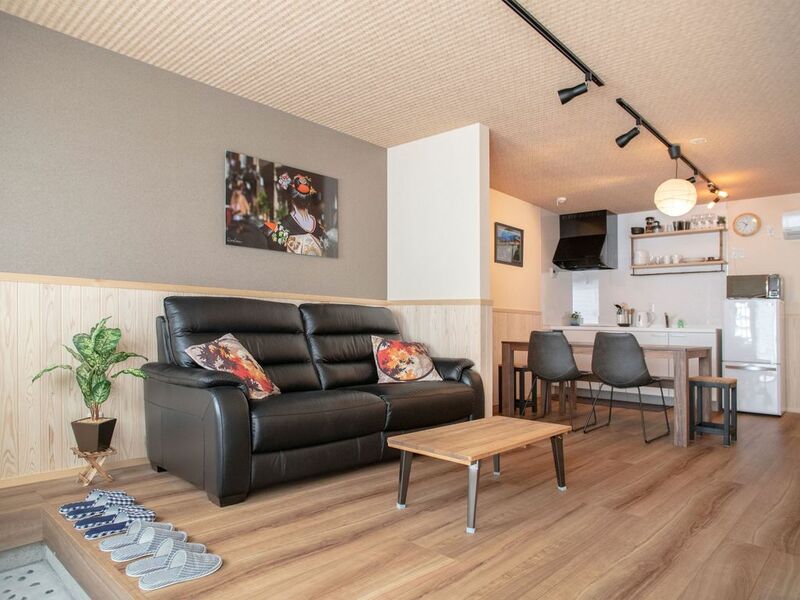 There is a washer dryer for your laundry and a super comfy sofa to cuddle up and watch TV in case of rain. Osaka is less than an hour away from Kyoto, so don’t miss including this place to your itinerary. Moreover, Osaka Mint in Osaka is known as Japan’s best viewing spot for cherry blossoms. A Street that’s usually closed to tourists, they open it to the public only for a week in spring. Lined with over 350 cherry blossom trees of 140 varieties, this viewing event began in 1883 and still continues till today. With an atmosphere of cheer and festivities, paper lanterns are let into the sky as the sun sets. Try and catch this on the first day you arrive in Osaka. For the second day here, take a trip on the aqua-liner, a water taxi that ferries people around this little bustling city. You can catch a glimpse of the Osaka Castle Park, Nishinomaru garden, Osakajo Hall and other historical sites on this 60-minute cruise. For the more adventurous lot looking for a night of fun, visit the Dotonbori in Namba known for its happening pubs and restaurants. Enjoy a perfect getaway in this private and cozy house. You will love unwinding in the spacious hot tub of the bathroom or in the well-equipped kitchen. We’ve kept your last day a bit slow so that you can soak in every bit of this scenic destination before you leave. It takes roughly 3 hours to get back to Tokyo from Osaka by the bullet train. Once you’re back, you can spend the rest of the day at Ameyoko, full of great shopping and delectable treats or you could visit Shibamata a quiet Edo style neighborhood with traditional trinkets and snacks. Remember, the best part is no matter where you in Japan there’ll be a Sakura in full bloom around the corner this time of the year.